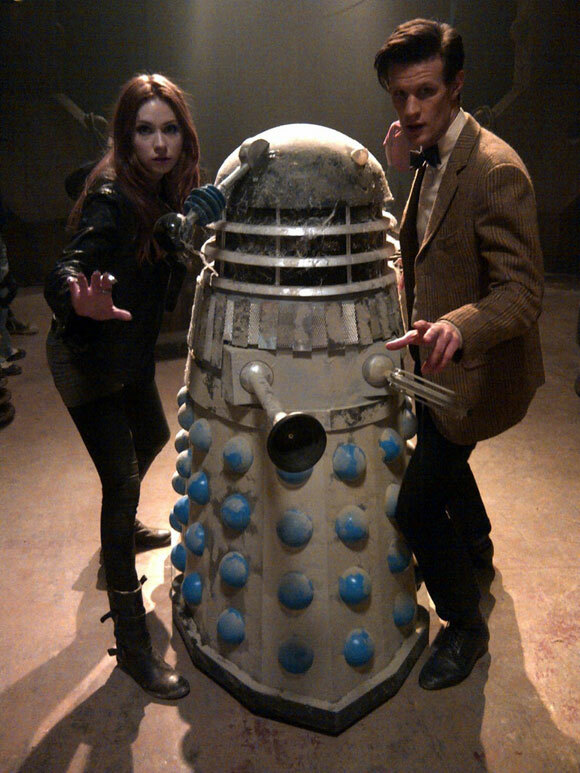 The series 7 opening episode title has been confirmed as Asylum of the Daleks. It will be shown at BFI Southbank, London on August 14th 2012 at 6:00 PM. The Doctor’s back! He’s joined by his trusted companions, the Ponds, and the three find themselves in an extremely precarious situation, where they come face to face with the Doctor’s oldest and most dangerous enemy… the Daleks. Catch the exclusive screening of the explosive new episode followed by a Q&A with writer Steven Moffat – recent recipient of the BAFTA Special Award – and members of the cast and crew. Tickets go on sale On sale on 10-07-2012 at 11:30 AM. Details can be found Here. BooBoo the tickets on BFI’s website are all sold out last week to BFI Members it’s very annoying! I can’t wait either! Although, to be honest, I’m WAAAAAAYYY more excited for the second half of the series than the first half, but that’s just me (and some others……possibly). Also, Rory Doctor River Pond, we wouldn’t be halfway through the series, it would be over by now!